Welcome back into Signature Holes, the popular BCDN feature looking at the golf course architecture behind some of the best holes in the Billy Casper Golf portfolio. Once again, the BCG portfolio is expanding, with Hawaii's Kauai Lagoons soon to add to our presence in the Aloha State. The Jack Nicklaus 27-hole design is a stunner, boasting lots of oceanfront golf. The fifth hole is an often-photographed par 3, but the sixth is an even better hole. It's a 470-yard par 4 that offers the player some interesting options to play over or around the island's coast. Somewhat inspired by Nicklaus' joint design work with Pete Dye at Harbour Town Golf Links, the fairway of this hole is very wide at the start and begins to pinch as the island's coastal cliff twists inward. This means a player can be aggressive off the tee and choose a line that fits best for them. If they lay out to the right, the longer shot offers some bailout room. However, if the player goes left off the tee, hoping to pinch off some yards from the approach, any miss short or left is in the Pacific. And if you go long, there's an uncomfortable bunker shot. 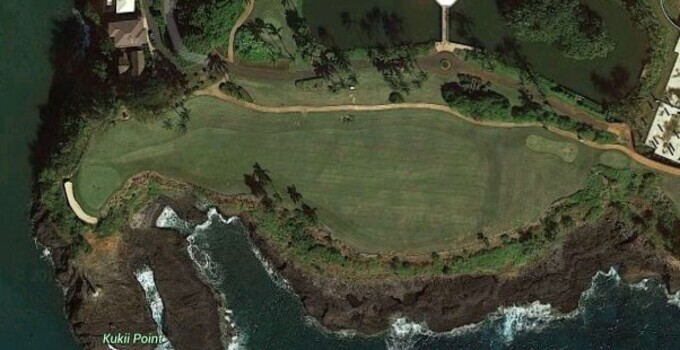 It's a fun but challenging hole, but you'll love it no matter the score because it's Hawaiian golf.